Finding and retaining top talent is no easy task. The national unemployment rate is just about as low as it has been in almost a decade and job seekers are being more particular about where they want to work — and for how much money. In this “candidates’ market,” you need every advantage you can get. 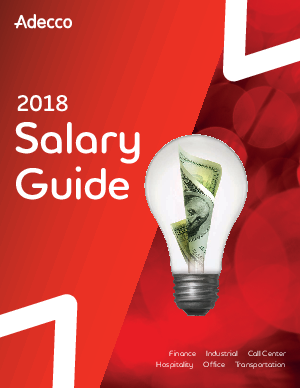 With that in mind, we hope the data in our 2018 Salary Guide will help you recruit, retain and pay employees at all levels — and win the competition for top talent.